Juventus have always been a force to be reckoned with and in the modern day they are the dominant side on the Italian Peninsula. Over the past 116 years the "Old Lady" has seen glory, tragedy and a multitude of talent at their disposal. From the European triumph of the 1980s to the Calciopoli scandal in 2006, which of the numerous players to don the black and white stripes deserves to make their "All-Time XI"? Kindly written for TFHB, Anand Sindhu has been piecing together his ultimate team of Bianconeri heroes. Dino Zoff the oldest winner ever of the World Cup,at the age of 40 years, 4 months and 13 days will be remembered as the greatest gloves to many to have set foot on the Italian footballing culture. But ask any Bianconeri, and the word from heart would say “Gigi”.If stats are put to talk, Buffon proves no lesser credibility than his senior countryman. Even Zoff’s exemplary record for the longest playing time without allowing any goal in international tournaments (1142 minutes) is matched with Buffon’s incredible show at the 2006 World Cup where he conceded as many as two goals(an own goal and a penalty converted by Zizou). There is really little to choose between these two with all the awards and the World Cup win they share and unfair comparing such giants of the game. With the likes of Claudio Gentile and Gaetano Scirea protecting Zoff’s post, one would say Buffon has done extremely well in guarding Juventus and its status even when Zambrotta, Thuram and Cannavaro disbanded the team in turnover to the Calciopoli scandal. The winner of six Serie A titles (1974–75, 1976–77, 1977–78, 1980–81, 1981–82, 1983–84) at Fidanzata d'Italia ,Gentile the Robert De Niro look alike is well known for being a fierce tackler and as the man who denudated Diego Maradona in the 1982 World Cup in Spain after which he quoted "Football is not for ballerinas! ", funny man!.During his time at Juventus he formed a formidable partnership Gaetano Scirea.Not only a centre back, he was equally proficient as a full back.He was one of the toughest defenders to have played the game . "Claudio Gentile is, without a doubt, one of the toughest defenders to grace Italian football throughout the 1970s and 1980s. Nicknamed ‘Qaddafi’ - since he was born in Libya - Gentile was a hard, uncompromising man. Several famous attackers during that era have fallen prey to his ruthless defending style, which was anything but gentle." The man who kept a legend like Franco Baresi out of the Italian team for many years shows what class he was born with. Arguably the greatest libero in the history of the game along with Franz Beckenbauer, Scirea even in those days played as a modern sweeper who came out of his defense to provide useful passes and goal scoring opportunities. Marco Tardelli’s second goal in the 1982 World Cup final is a fine example of his attacking instincts. To prolong his career he played as a pure centre back in latter stages, even then he was as stylish and graceful with perfect tactical understanding. To his credit he never received a red card in his playing time, a stat rarely seen of an Italian defender rather any defender or any player for that matter. 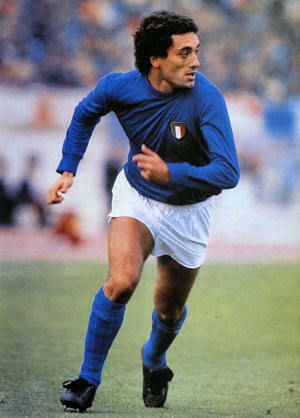 He was the captain of the Bianchoneri's golden generation in the 80s. With Juventus he won 7 Scudetto (1974–75, 1976–77, 1977–78, 1980–81, 1981–82, 1983–84, 1985–86) and the infamous 1985 European Cup at the Heysel Stadium. He died tragically in a car accident in 1989 at the age of 36. Probably the most commanding and powerful left-back in the 80s, Cabrini participated in all of Italy's games in 3 consecutive World Cups, in 1978, 1982 and 1986 and was a great crosser as well as a fast feet who hardly allowed the wingers to cut in. The world felt his presence at a mere age of 20 when he was awarded the young player of the tournament at the 1978 world cup held in Argentina. 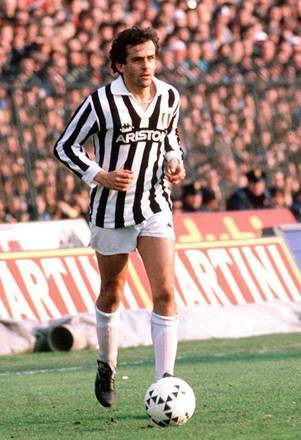 With the Turin side, he won the Italian Serie A 6 times (1976–77, 1977–78, 1980–81, 1981–82, 1983–84, 1985–86) and the European Cup of 1985. Cabrini was nicknamed Bell'Antonio for his popularity as a fascinating and good-looking football player. Tardelli's celebration in the 1982 World Cup is one of football's most enduring images. A prolific player for the Old Lady, making 259 appearances, Tardelli provided a great balance in the midfield with passing skills, tackling and positioning. His interception along with vision made him an indispensable member for both the Azzuris and Bianconeri. During his decade-long stint at the Turin club, he won all the three major European competitions: the UEFA Cup, Cup Winners' Cup and European Cup as well as five times the Italian Serie A championship (1976–77, 1977–78, 1980–81, 1981–82, 1983–84). In 1997 Charles was voted as not only Juventus’ greatest-ever foreign player, but the best Serie A foreigner ever. When you consider that the likes of Diego Maradona, Zico, Marco Van Basten and Zinedine Zidane have all graced Italian playing fields, you realise just how brilliant Charles was. Signed from Leeds in 1957, ‘The Gentle Giant’ won three Serie A titles (1958, 1960, 1961) and was also voted the best player in the league in 1958. His sublime touch,aggression in going forward coupled with ambiguous feet made life difficult for the opposing defenders. At Leeds Charles was more famous for his defending abilities until he was pushed forward and won Leeds the promotion to top flight. As centre back or centre forward Charles was a dominating figure. Read about John Charles and Wales' World Cup run in 1958 here! The French legend is La Vecchia Signora one of the most important players. The current UEFA president played 222 games for the Turin side and was the turning point in the 1985 European Cup win. Le Roi as he was often called was an amazing passer, a free-kick specialist and won the Ballon d'Or three consecutive times, certainly making him one of the best playmakers in football history. Despite being a midfielder, he scored 41 goals for Les Bleus and finished top scorer in Serie A for three consecutive seasons with Juventus. "Arguably the greatest player of a country blessed with Zinedine Zidane, and arguably the greatest #10 for a club blessed with Roberto Baggio and Alex Del Piero, Michel Platini was both ahead of his time and a throwback to a less frantic age of football - if only because of how simple he made the sport look." A football player who gave everything on the pitch during his spell at Juventus, Pavel Nedved was widely known for his energy on the field, his refined shooting and his goalscoring ability. His instincts to come to the centre of the field made him a cannon like force to reckon with.The Furia Ceca led the Bianchoneri to the 2003 Champion's League final, where they lost from Milan at the penalty shoot-out. He also won the Ballon d'Or the same year. With such reputation he could have easily left Juventus when they were relegated to Serie B but instead his heart remained with the Old Lady. He was the Franco Causio Juventus ever wanted and perhaps better. The player who called Paul Scholes the best midfielder of this generation definitely knows all of football. Be the goals or the The Mare turn (also known as 360), the aura of Zizou would put him in any football team of the world. Watching him play becomes a definition of how one wants a player to play, ladies and gentlemen Zinedine Zidane. The French maverick is likely to rank highly in our #TFHBTop250, as he proved time and time again that he was the player for the big occasion. While still playing for Juve, Zizou scored two goals in 1998 World Cup Final, before sealing a world record move away from the Stadio Delle Alpi in 2001. Another winner of the Ballon d'Or at the Old Lady, could he be their greatest ever? He will of course be remembered for two things - his amazing footballing ability and that headbutt. Read Tom Routledge's blog on the "1998 World Cup: A French Dream Team?" Both the Ballon d'Or and Fifa Player of the Year in 1993, Roberto Baggio was what Eric Cantona was to Manchester United. His knack of scoring goals provided Juventus the lost stardom. His presence groomed the likes of Del Piero. A fearless striker who like Paolo Rossi single-handedly scored all the goals for the Azzuris at the World Cup, but with Rossi there was a formidable team, with him was just his"Il Divin' Codino" (The Divine Ponytail). "From his 1989 entrance into the Serie A spotlight with his stunning solo effort against Diego Maradona’s Napoli, no less, to his one touch-and-finish goal for Brescia against Juventus in 2004 at the twilight of his career, Baggio entertained Italian football fans the world over with flashes of skill and goals that lived in the memory forever." The record-holder of the most club appearances (705), Del Piero, also holds the record of the most club goals (290). Records tumble when his name arrives with the Bianconeri. A fighter who led Juventus back into Serie A after the Calciopoli scandle. He was the top scorer in the Serie B that season with 20 goals. His tally clearly tells us why "Pinturicchio" is probably the most loved player in Juventus' history. No words can describe him better---Captain, Leader, Legend. -Scirea as the centre back and sweeper to all the holes left by Cabrini and Gentile in going forward. When Cabrini goes towards the left flank , Scirea moves left, Gentile covers him and Charles falls back as he has sound knowledge of defensive duties. -Nedved and Zidane work in tandom just like Goetze/Kagawa and later Goetze/Reus did at Dortmund providing a central vertical attacking force unit. -Meanwhile Nedved to notch up the gears with support of Cabrini to provide crosses to the deadly duo of Baggio and Del Piero. -Charles going in centre and working as a striker as soon as he gets shooting possibilities; fine striker of the ball,along with tremendous burst of pace which can cut off oppositions flank service. -Tardelli is the key, with small passes from the defenders mainly by Scirea, he can distribute it to Zidane or Platini who can round up the decisive passes. -Platini as a midfielder has a knack of scoring goals so will look to find empty squares available. Baggio to play second fiddle because of better decision making than Del Piero in order to go past more players, also to distract and stick other defenders in order to provide clear grounds for Del Piero. the last two pics are not visible!! Last one is a bit tricky - will have it sorted by tomorrow! Zoff was way better than Buffon. The only reason you have put John Charles there is that you are British. Why not put Ian Rush there too? The team is missing Cucureddu and Boniek aswell. And Ciro Ferrara.